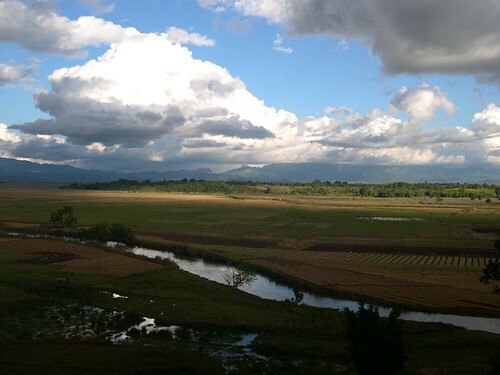 Cloud of Shan Plateau, originally uploaded by ZackTwin. I browsed my old photos and found this beautiful photo. I took this photo when I went to Taung Gyi City in Myanmar in December 2005 to attend my brother's wedding. We went to interesting places around the city during the trip, including KatKu Pagodas. This place was not easily accessible in 1980s because it was stronghold of PaO rebels who were fighting for autonomous state. Now PaO signed cease-fire agreement with Military Government and are doing business in the region, so visitors can enjoy this kind of beautiful scene in Shan Plateau. I took this photo with point-and-shoot digital camera, Nikon E4300, so I think the sharpness is not great but still beautiful for me. Hope you enjoy this photo too. Thank You!